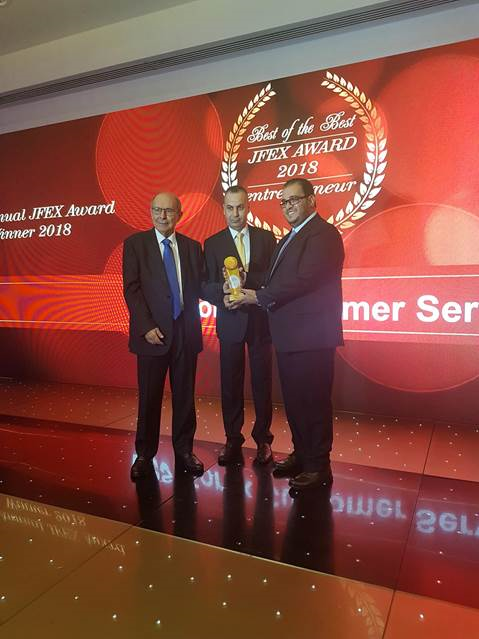 We are pleased to announce we were awarded Best Forex Customer Service 2018 at the JFEX awards in Amman, Jordan. One Financial Markets is proud to set the standard in online trading by offering the most comprehensive support package and more importantly, delivering on its commitment to consistently offer high standards of customer service around the world. We’d like to thank all our clients and partners for their continued support.